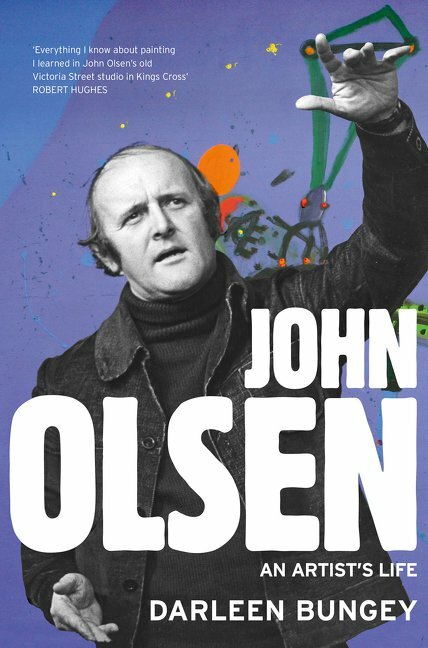 This landmark biography by Darleen Bungey, the author of the celebrated biography of Arthur Boyd, graphically depicts the forces that drove John Olsen to become one of the country's greatest artists. An exhilarating book, both trenchant and tender, it strips away the veneer of showmanship and fame to show the substance of a painter driven by a need to depict his country's landscape as Australians had never seen it before. Given access to his uncensored diaries and drawing on years of extensive interviews with both Olsen and those who have known him best, she explores his passionate life and follows his navigation though the friendships, rivalries and politics of the Australian art world. How did a shy, stuttering boy from Newcastle, neglected by his alcoholic father, come to paint the great mural Salute to Five Bells at the Sydney Opera House? This biography follows that journey - through Olsen's early experiences in the bush, particularly a formative period at Yass (a time previously unrecorded), to years of cleaning jobs to pay his way through art school, to a milestone time spent in France and Spain - and traces his constant travels and relocations within Australia, including his epic journeys into the outback and to Kati Thanda-Lake Eyre. From a child who was never taken to an art gallery, who learnt how to draw from comics, we come to see the famous artist in the black beret, the writer and poet, the engaging public speaker, the bon vivant - whose life has been defined by an absolute need to paint.